A picture of my stocking- it is my own that I purchased a few years ago. 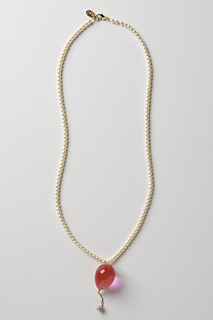 1) Balloon Necklace: Anthropologie- I adore this necklace. It is too cute! 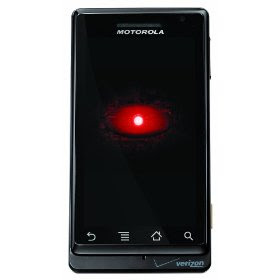 2) Droid by Motorola: Verizon Wireless- Fortunately, it's just about time for me to get a new cell phone. A touchscreen phone that has a good camera and a QWERTY keyboard is a must for me. I also need the ability to check my email and run Apps. So, the Droid seems like a great choice! 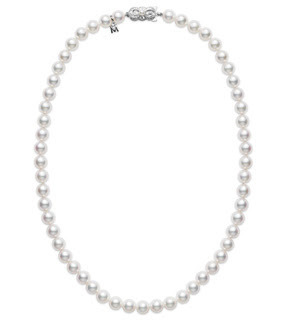 3) Mikimoto pearl necklace: Mikimoto- My mom has a Mikimoto pearl necklace that I love. I always borrow it whenever I want to wear it for a special occasion. It would be nice to have one of my own. Some of them are quite pricey, but definitely worth it. 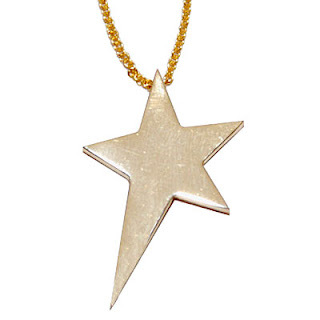 4) Jennifer Meyer Star Necklace: Stand Up To Cancer- I love it when proceeds from an item go to a great cause. All net proceeds from this necklace go to Stand Up To Cancer, which is amazing. Plus, I adore stars so I think this necklace looks great whether it's in silver, yellow gold, white gold, or covered in diamonds! 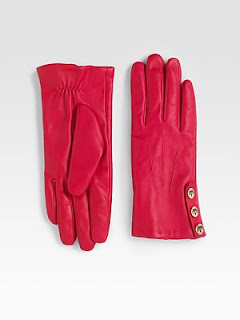 5) Juicy Couture Cashmere-Lined Leather Gloves: Saks Fifth Avenue- Winters can be rather cold here in Maryland so it's important to bundle up. The cashmere lining would surely keep my hands nice and warm. And of course, they will definitely look stylish! Thank you Rachel- I love those gloves too! Day 14 is tomorrow. All great things. Have a wonderful weekend. Cheers! Love those pearls and the star necklace... great items Rachel! and the gloves, are very classsy. p.s. The gloves are GORGEOUS! The balloon necklace is so adorable! I'm lusting after that phone as well! It's so pretty! Love your funny stocking (I wonder what Santa will put in there)...and the gloves looks fabulous. Ok, I'm seriously in love with that star necklace!